Luxury car rental in France opens the door to some of the world's quaintest, most alluring destinations. Whether scenicly positioned on the coastline, like St Tropez, or hidden among the mountains inland, such as the Gorge du Verdon, each of the Cote d'Azur's most appealing attractions warrants exploration, with their promise of picturesque settings, delectable cuisine, and glimpses into the addictive French culture. There is one settlement type, however, that is quintessentially French and characterises the charm of the Cote d'Azur: the perched hilltop village. Renting a luxury can in France is the best way to explore these magical towns and villages - many of which are off the typical tourist trail. So reserve your favourite model, fasten your seatbelt, and plan your route to these three perched hilltop villages. Of our three selections, Gourdon boasts the most dramatic placement. With just one entrance to the town and a sheer drop to the Loup River below, Gourdon was built with defence in mind hundreds of years ago. Visitors will enjoy wandering through the alleyways and admiring the historic architecture. Fun fact: parts of the film Les Miserables (2012) was filmed in and around Gourdon. Having inspired various artists in the past, such as Marc Chagall, Gwen Raverat and Jacques Raverat, the idyllic hilltop town of Saint Paul de Vence is a vision that must be seen to be appreciated. It is one of the oldest medieval towns on the French Riviera and attracts tourists with its promise of art galleries and fine restaurants. 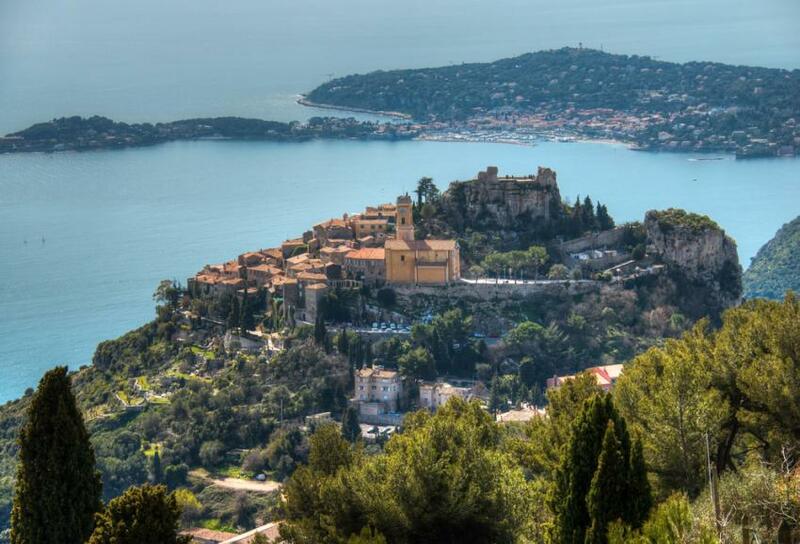 The medieval village of Eze is an iconic sight along the eastern stretch of the Cote d'Azur. Possibly the best example of a perched hilltop village in the South of France, the picturesque setting affords spectacular views out to the Mediterranean Sea.